When will the 1st Smartphone to capture in 4K be released? All of todays high end Smartphones capture video in Full HD or 1080p24 (1920 by 1080 pixels at 24 frames per second [fps]). This was not always true. 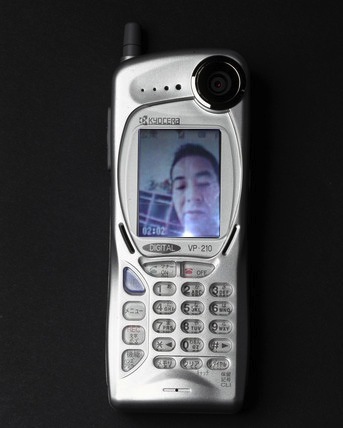 In fact the first ever mobile phone to capture video was the Kyocera VP-210 released in Japan in 1999. It had a 0.1M pixel sensor and could capture video at 2 frames per second using Motion JPEG! It used the PHS cellular standard. 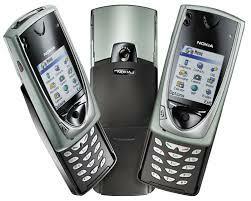 The Nokia 7650 was the first Smartphone to capture video in 2002. It was the first Nokia phone to use Symbian OS and to include a camera. It had a VGA sensor (0.3M pixels) and could capture video at QCIF (144 x 176 pixels at 30 fps). The phone had one of the first ARM9 CPU running at 104MHz. The phone worked on the 2G GSM networks. Originally the phone only shipped with still camera capture, but our friends at Hantro created a software application for Symbian which allowed QCIF capture using H.263. I remember playing with this phone at the ARM Partner Meeting (APM) in the summer of 2002. A number of Nokia engineers had brought prototypes of the phone to the meeting. It was amazing to take VGA pictures on your smartphone! The Nokia N93 released in 2006 was a Symbian 3G smartphones with a 3.15M Pixel sensor. It was also the first Smartphone to capture video at VGA resolution with 30 fps using MPEG-4 video codec. The phone was one of the first to use an ARM1136 at 330MHz inside the TI OMAP2420. 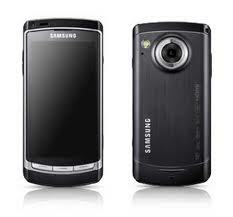 The Samsung i8910 released in 2009 was the first Smartphone to record 720p24. This phone also ran the Symbian OS. It encoded with MPEG-4 and not H.264/AVC to capture the 720p24 content as the OMAP 3430 SoC was very poor at H.264 encoding. The phone was also the first to have the ARM Cortex-A8 at 600MHz. The image sensor size was 8M Pixels. The LG Optimus 2X was released in 2011 and was the first Smartphone to capture video at 1080p24 using H.264. The phone used the nVidia Tegra 2 SoC using a dual ARM Cortex-A9 at 1GHz. The phone runs the Android OS. The image sensor size was 8M Pixels. So given that we have had 1080p24 capture in the marketplace since 2011, what's next? I would expect 1080p60 to come within 12 months. This should also allow 720p120 for high speed capture as it is the same amount of pixels per second. But what about 4K UHD or 2160p24 (3840 x 2160 at 24 fps)? Well, today you can buy the 50" Seiki Digital SE50UY04 4K UHD TV from $1,134 from Amazon! So when will your phone capture native 4K content? My estimate is that in the next 1-2 years we may see the first 4K UHD (2160p24) video capture on a Smartphone. This will use H.264 and not H.265 (HEVC) so the file sizes are going to be huge and unpractical. Why do I think as soon as next year? The Qualcomm SnapDragon 800 SoC chipsets can encode and decode H.264/AVC 4K UHD content. This chip is in mass production and about to ship in a number of Smartphones. The nVidia Tegra 4 can decode H.264/AVC 4K UHD content. Both Aptina and OmniVision are in mass production of the AR1230 and OV16820 sensors which support UHD 4K video for Smartphones. Currently we are well into the design of our 4th generation video encoder which we call 'Harrier'. This is designed to allow a Smartphone to capture at 2160p60 4K using the latest compression standard H.265 which, in our opinion, is required for practical use of 4K content.